The Soviet Poster Show is a collection of 100 original posters from the period of Glasnost and Perestroika in the Soviet Union. The collection was organized by Ron Miriello, Phil Risbeck and Oleg Savostiuk of Moscow, Russia in 1987. It was created in collaboration with the San Diego Chapter of AIGA, The American Institute of Graphic Arts. 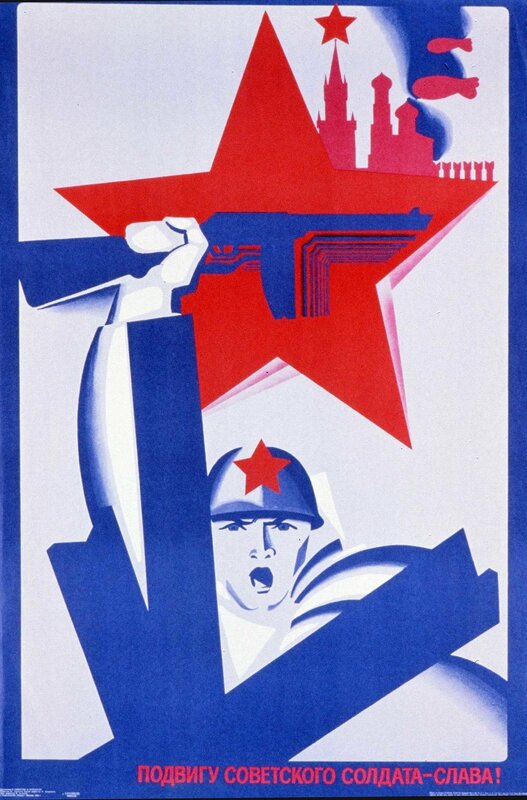 The Soviet Poster Show is believed to be among the most complete collections of original such posters in existence. 75 original Soviet posters were compiled in Moscow in 1989 by Oleg Savostiuk (Secretary of the Union of Soviet Arts) and Philip Risbeck (Colorado State University design professor and renowned poster designer) expressly for the San Diego Chapter of the American Institute of Graphic Arts (AIGA). "I remember opening the wooden crate full of posters that arrived in San Diego. There were massive boot marks across the inside of the crate.... I felt we had made a very rare and personal connection with the Soviet Union" says Ron Miriello, Soviet Poster Show chairman. As a new chapter, AIGA San Diego was looking to make a bold statement about the power and potential of design to effect change. The designers on the founding AIGA board worked for more than a year to promote an exhibition they had no guarantee would ever arrive. A few weeks before the event the infamous wooden crate containing The Soviet Poster Show, arrived just in time for its October 1989 premier. Oleg Savostiuk came as our guest to explain the posters to Americans and to extend a hand of friendship. Now, 40 years later, it’s somehow become even more significant. The collection is now owned and managed by its co-creator Ron Miriello. 2019 includes exhibitions in Los Angeles at the Wende Museum and Colorado.